TELL US A BIT ABOUT ROLL OK PLEASE – WHAT ARE YOU GUYS ALL ABOUT? Roll OK Please is a 'passion project'. 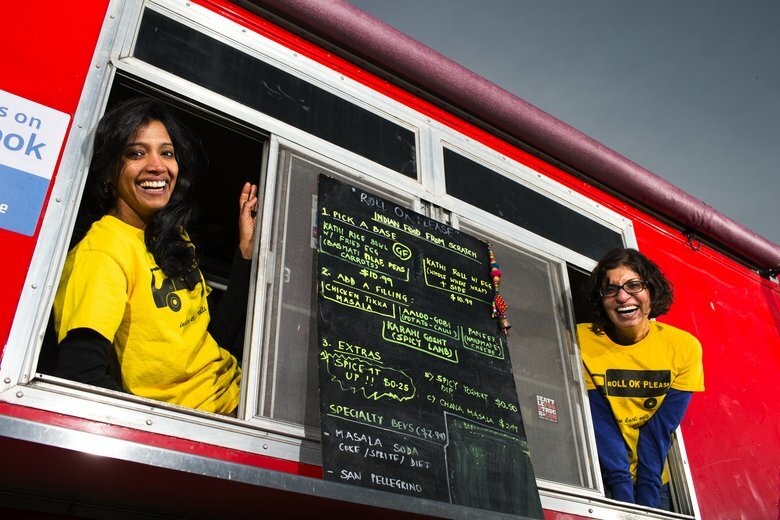 We are an all-woman run operation, and Shama Joshi is the owner and chef. 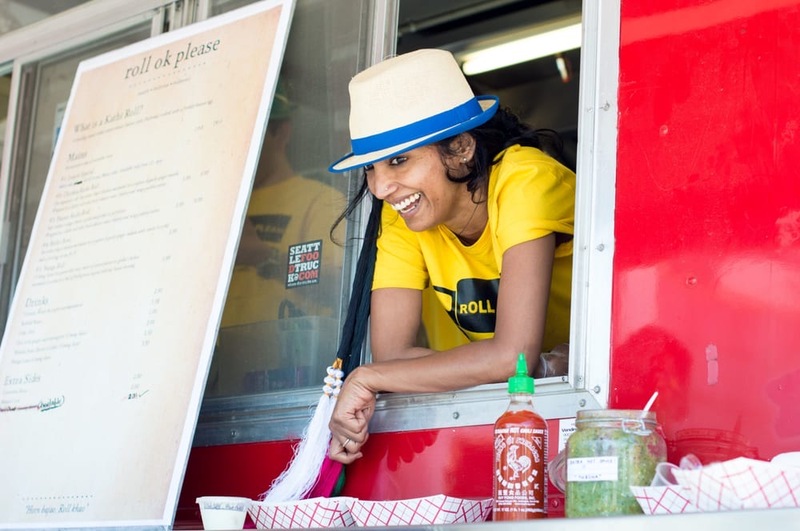 Shama left her 14-year engineering career at Microsoft to follow her passion and start a food truck business. 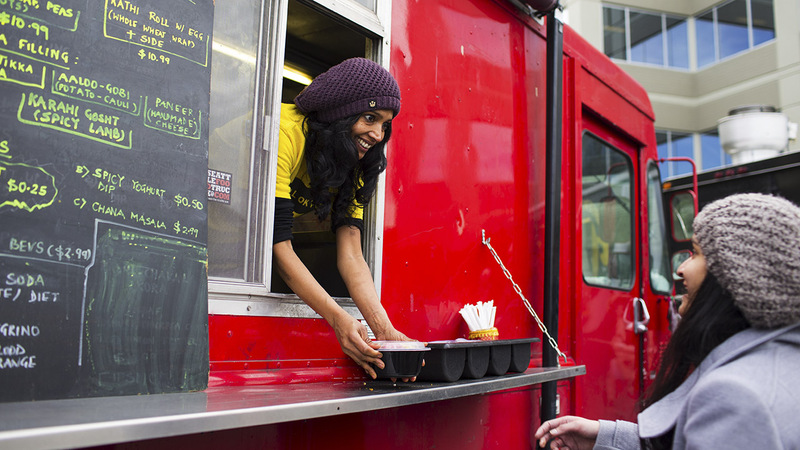 She has been running her truck since July 2014 and takes pride in being among the top food trucks in the Seattle area. 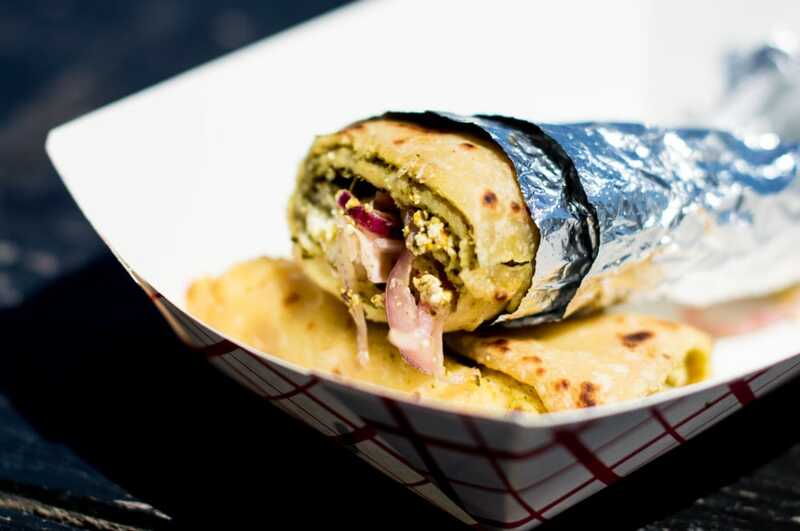 Shama is living her dream of feeding her patrons nutritious, made-from-scratch Indian food focused on street flavors. Nothing brings her more joy and validation than hearing the words "that was the best lunch I've had!". Every location we go to is special for us because our patrons soon become our 'family'. We remember their life stories and their food preferences, and we believe that loyalty works both ways. We stay loyal to our customers' expectation of top quality, consistent food and in turn they loyally come back week after week. 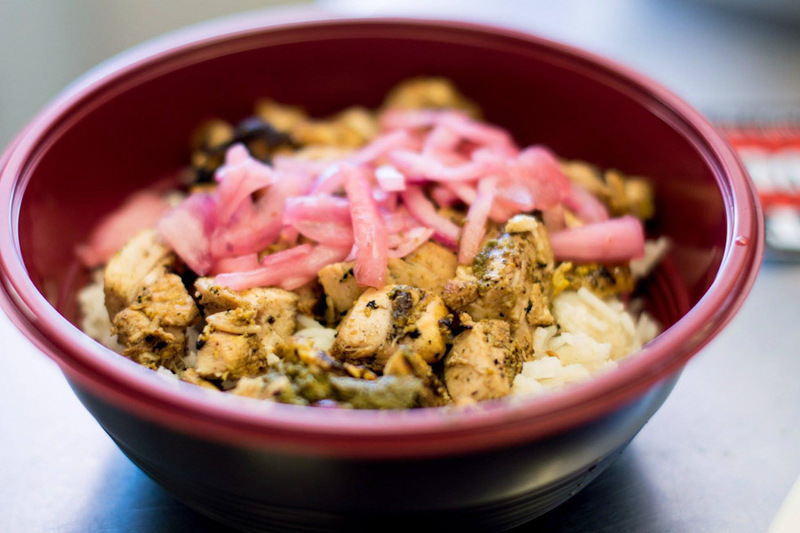 Our Karahi Gosht (slow cooked, tender Lamb or Goat) served inside a crispy whole wheat Kathi Roll, or gluten-free Rice pilaf Bowl with a fried egg, is a huge draw. Come early for this limited, succulent delicacy! This is a physically demanding profession and running a kitchen-on-wheels comes with added challenges. It does not help that I am accident prone and have had on the average one major injury per year since I started. Being lucky enough to hire, train and retain a reliable, honest team has been key to keeping the business going during my injuries and I am thankful for them! 1 ) Stay honest to quality and your vision. All startups come with their share of challenges that might seem insurmountable at the time - funds may run low, that one ingredient that you absolutely need is suddenly off the market, you will have staffing issues, etc but 2 ) keep reminding yourself why you are doing this and what keeps your customers coming back, and you will stay true to your path. 3 ) Always think creatively and be ready to problem solve areas where you will have no expertise - after all, it is your business and everything is YOUR responsibility. 4 )Lastly, do not be afraid to ask for help and never underestimate the kindness of people around you. WHAT’S NEXT FOR ROLL OK PLEASE? ...The problem is when that fun stuff becomes the habit. And I think that's what's happened in our culture. Fast food has become the everyday meal."